Budesonide+Formoterol is used to prevent bronchospasm in people with asthma or chronic obstructive pulmonary disease (COPD). You should not use Budesonide+Formoterol if you are allergic to budesonide or Formoterol. FDA pregnancy category C. It is not known whether Budesonide+Formoterol will harm an unborn baby. Tell your doctor if you are pregnant or plan to become pregnant while using this medication. Budesonide can pass into breast milk and could harm a nursing baby. Do not use Budesonide+Formoterol without telling your doctor if you are breast-feeding a baby. Budesonide can affect growth in children. Talk with your doctor if you think your child is not growing at a normal rate while using Budesonide+Formoterol. Do not give this medication to a child younger than 12 years old. Budesonide+Formoterol may increase the risk of asthma-related death. Use only the prescribed dose of Budesonide+Formoterol, and do not use it for longer than your doctor recommends. Follow all patient instructions for safe use. Talk with your doctor about your individual risks and benefits in using this medication. Do not use Budesonide+Formoterol to treat an asthma attack that has already begun. It will not work fast enough. Use only a fast-acting inhalation medication. Prime the Budesonide+Formoterol inhaler device before the first use by pumping 2 test sprays into the air, away from your face. Shake the inhaler for at least 5 seconds before each spray. 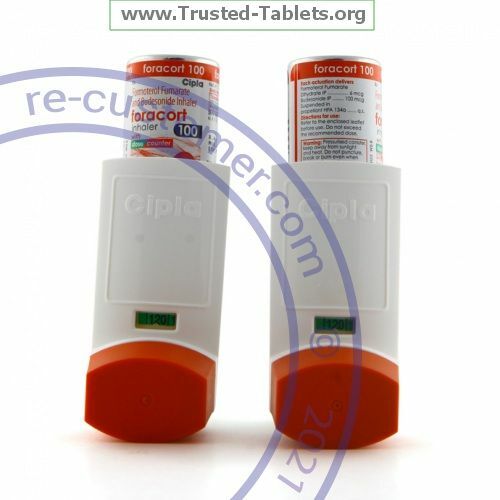 Prime the inhaler if it has not been used for longer than 7 days, or if the inhaler has been dropped. If you also use a steroid medication, do not stop using the steroid suddenly or you may have unpleasant withdrawal symptoms. Talk with your doctor about using less and less of the steroid before stopping completely. Use all of your medications as directed by your doctor. Do not use a second form of Formoterol or use a similar inhaled bronchodilator such as salmeterol or arFormoterol unless your doctor has told you to. a beta-blocker such as atenolol, carvedilol, labetalol, metoprolol, nadolol, propranolol, sotalol, and others.